Choice Organic Earl Grey with Lavender owes its flavorful foundation to the selected organic teas from India and Ceylon. 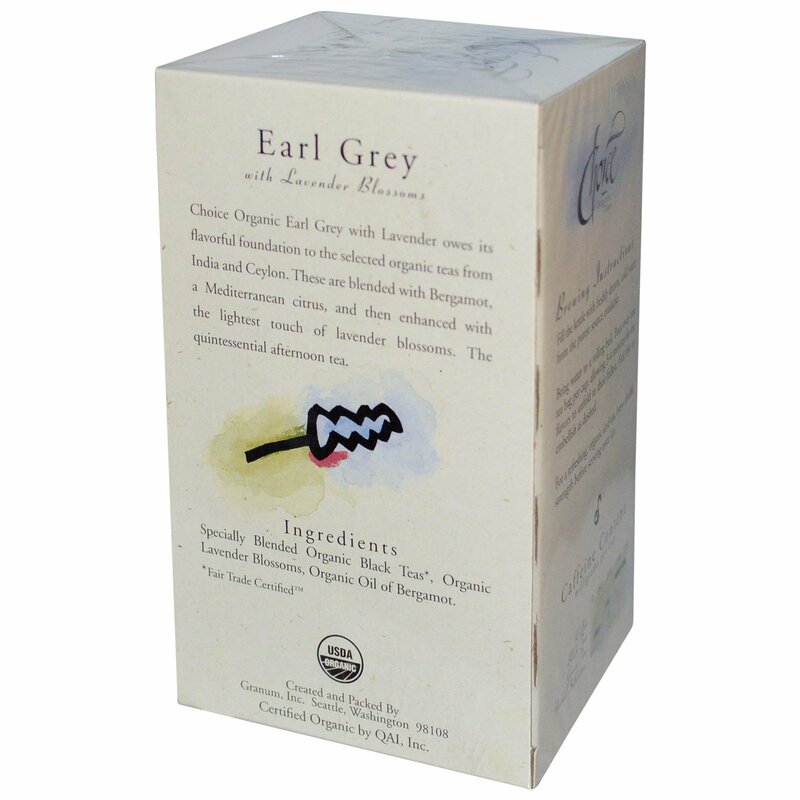 These are blended with Bergamot, a Mediterranean citrus, and then enhanced with the lightest touch of lavender blossoms. The quintessential afternoon tea. Bring water to a rolling boil. Pour over one tea bag per cup, allowing 3-4 minutes for the flavors to unfold to their fullest. Feel free to embellish as desired. 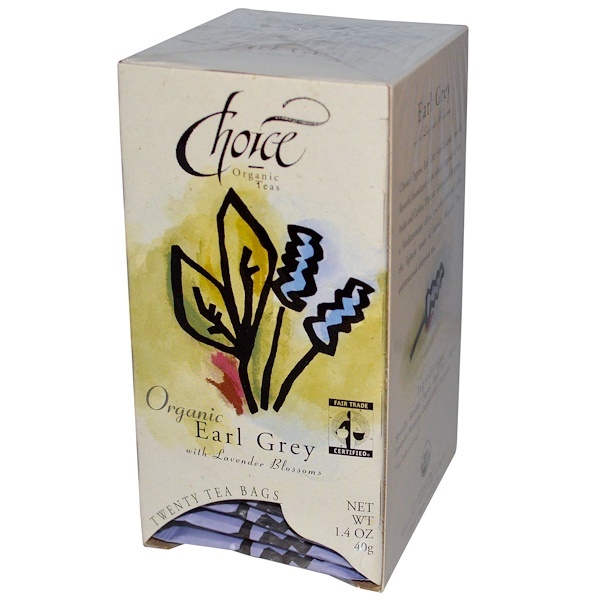 Specially blended organic black teas*, organic lavender blossoms, organic oil of bergamot.